The Big Tree is located near the old town of Lamar, in Goose Island State Park. During the Civil War, the town of Lamar was bombarded and destroyed by the union navy. All that remained were the ruins of a few old shellcrete (oyster shell concrete) homes, a Catholic chapel, and the Big Tree. Before the 1931 opening of the mile-and-a-half-long Copano Causeway, visitors coming from south of Copano Bay, such as from Corpus Christi, had to drive many miles inland to get around the body of water and get to the Big Tree. 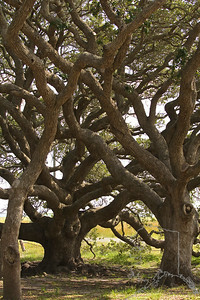 According to climatologists, the Big Tree has survived from anywhere between forty to fifty major hurricanes, numerous floods, droughts and wildfires. The Texas Forest Service estimates the tree to be over 1,000 years old, other recent estimates place it nearer to 2,000 years old.The Big Tree is possibly the oldest live oak. It possesses a circumference of over 35 feet, is more than 45 feet tall and has a crown spread of 90 feet.Record or Champion Trees are determined by their girth, their spread and their height. The near-continuous gulf breeze limits the height of this oak. 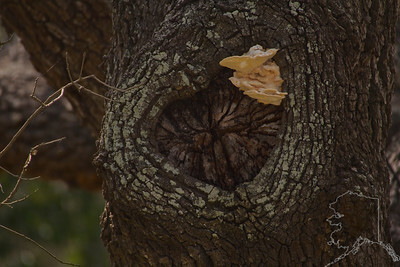 Therefore, there are many live oaks that surpass this tree's height, however when the tree's girth is factored in, it makes this the second largest live oak in Texas. 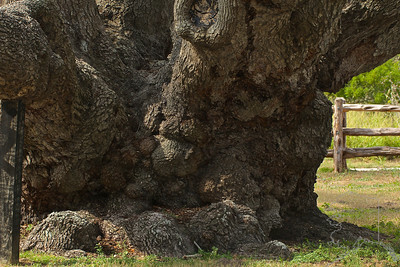 The state's third largest Live Oak is in Columbus, Texas. 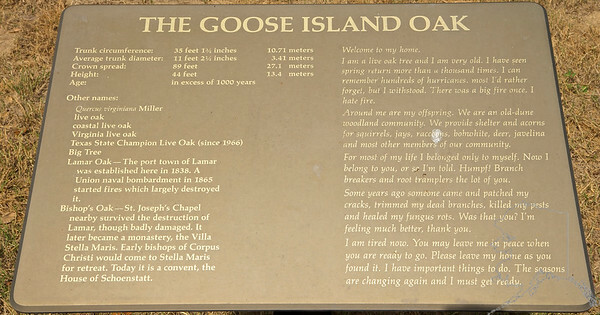 The Big Tree is located near the old town of Lamar, in Goose Island State Park. During the Civil War, the town of Lamar was bombarded and destroyed by the union navy. All that remained were the ruins of a few old shellcrete (oyster shell concrete) homes, a Catholic chapel, and the Big Tree. Before the 1931 opening of the mile-and-a-half-long Copano Causeway, visitors coming from south of Copano Bay, such as from Corpus Christi, had to drive many miles inland to get around the body of water and get to the Big Tree. According to climatologists, the Big Tree has survived from anywhere between forty to fifty major hurricanes, numerous floods, droughts and wildfires. 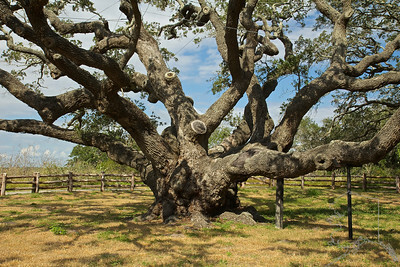 The Texas Forest Service estimates the tree to be over 1,000 years old, other recent estimates place it nearer to 2,000 years old.The Big Tree is possibly the oldest live oak. It possesses a circumference of over 35 feet, is more than 45 feet tall and has a crown spread of 90 feet.Record or Champion Trees are determined by their girth, their spread and their height. The near-continuous gulf breeze limits the height of this oak. 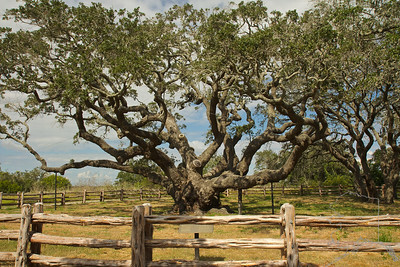 Therefore, there are many live oaks that surpass this tree's height, however when the tree's girth is factored in, it makes this the second largest live oak in Texas. 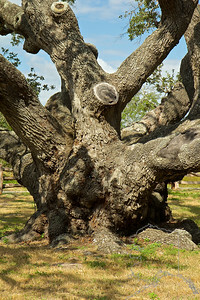 The state's third largest Live Oak is in Columbus, Texas.